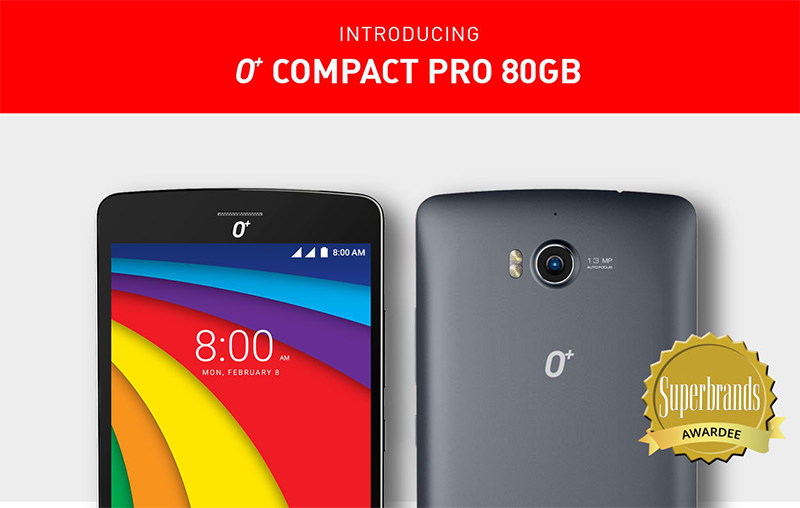 O+ USA has announced their latest flagship phone, the O+ Compact Pro 80 GB today. It's a big memory photography centric handset that promises to take professional grade performance on a smartphone. 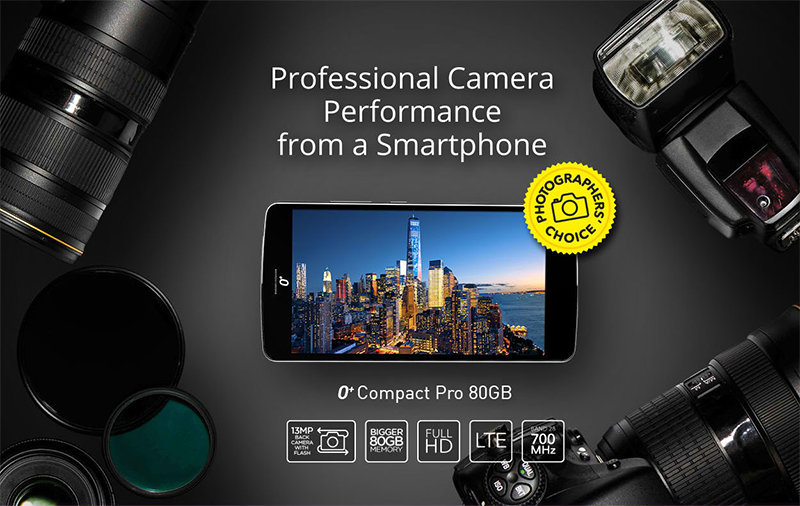 The O+ Compact Pro 80 GB is a minimalist looking handset with 5.5 inch FHD screen for better viewing experience. Under the hood, its powered by a 1.3 GHz octa core processor (might be MT6753 from MediaTek) paired with 2 GB of RAM for casual multitasking experience and 3,045 mAh battery. It highlights a total of 80 GB storage consisting of 16 GB internal memory and FREE 64 GB micro SD card. That should be great for storing a lot of photos captured by its 13 MP main camera and 5 MP f/2.0 selfie camera. The handset also has 700 MHz LTE connectivity, OTG support, Bluetooth, and dual SIM card slots. It runs with Android 6.0 Marshmallow OS out of the box. The O+ Compact Pro 80 GB is priced at PHP 11,395 with FREE JBL headset. Hopefully, its camera is as good as advertised.